Pianist Pascal Le Boeuf is a 21st century renaissance man. He’s made inroads in the worlds of classical music, indie-rock, and jazz. With his identical twin brother Remy, he’s won top awards in various international songwriting competitions. 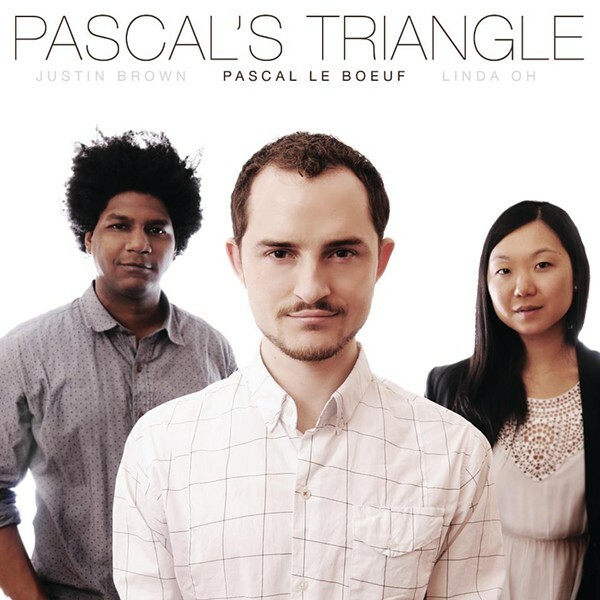 “Pascal’s Triangle” finds Le Boeuf in a jazz trio setting with excellent partners Linda Oh on bass and Justin Brown on drums. Le Boeuf’s embrace of multiple genres is evident right from the start. In the CD’s impressionistic opening - “Home In Strange Places” - there is at least as much Debussy evident in his compositional style as there is Bill Evans. The lyricism continues throughout the album, supported by Oh’s subtle bass accompaniment and Brown’s delicate brush work. Some of the songs, notably “The Key,” have the simple grandeur of an instant classic. While most of the album is composed of ballads and mid-tempo tunes, there is one startling exception. “What Your Teacher...” is a playful outburst of driving drums and a bold melody to match. But, ultimately “Pascal’s Triangle" is a wonderfully pensive album. Even the song titles, like “Revisiting A Past Self” and “Variations On A Mood,” indicate the reflective experience this album provides. It takes guts to put out a CD as subtle as this one; listeners who prefer quality over flash will be amply rewarded.